Hello All you wonderful people!!! 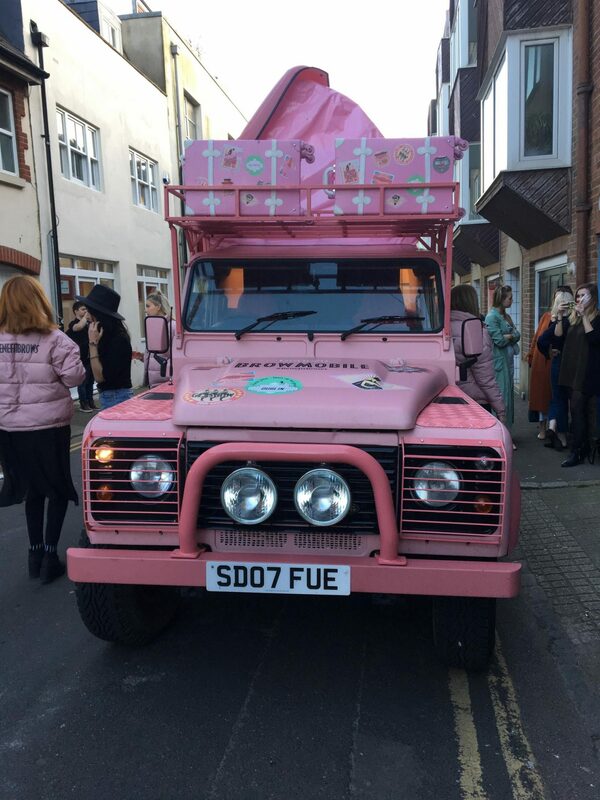 Its a week today since I went to the amazing Benefit event in Brighton with the goregous and inspiring Lola Hoad who is the creator of ‘One Girl Band’ and Tashie Tinks the lovely youtuber, fashion and beauty blogger! 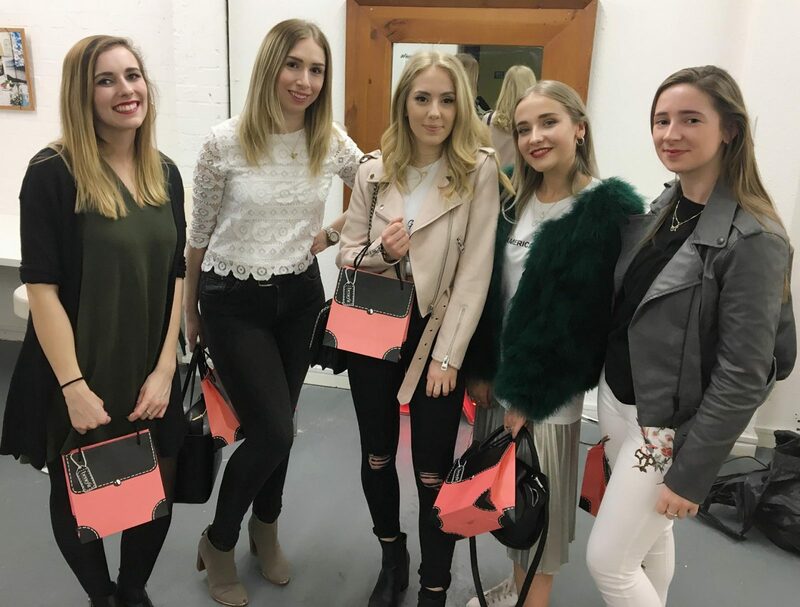 I thought I’d just do a little post about the event and what we got up to and show you some pictures from the evening! I was super excited when I was invited to go to my first ever event! 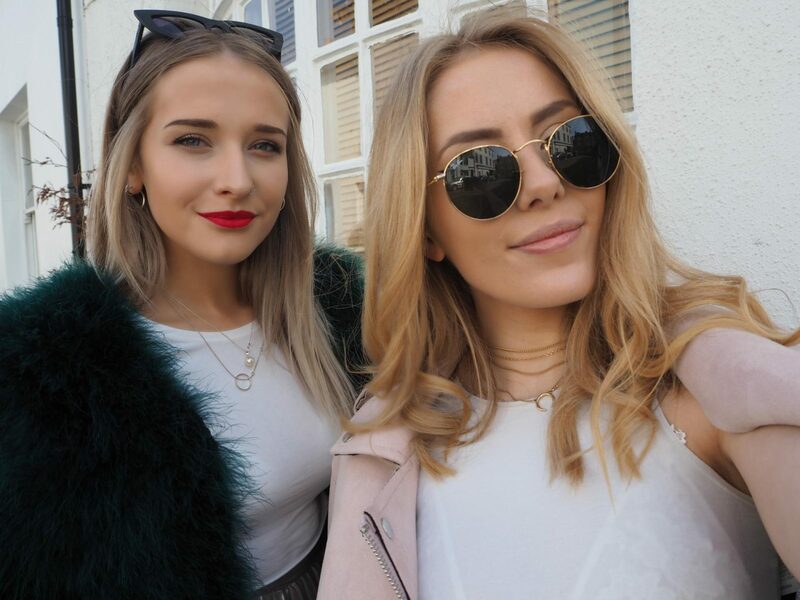 I decided to take along my lovely bestie Pia Woodvine, and If haven’t seen her instagram its a must..her style is to die for!! We arrived at 5.30pm and we were greeted with cute little sweet pots and pink champagne, a combrination of my favourite things. We spent the start of the evening meeting and chatting with the other girls there, which was so lovely being surrounded by such inspiring creative people. 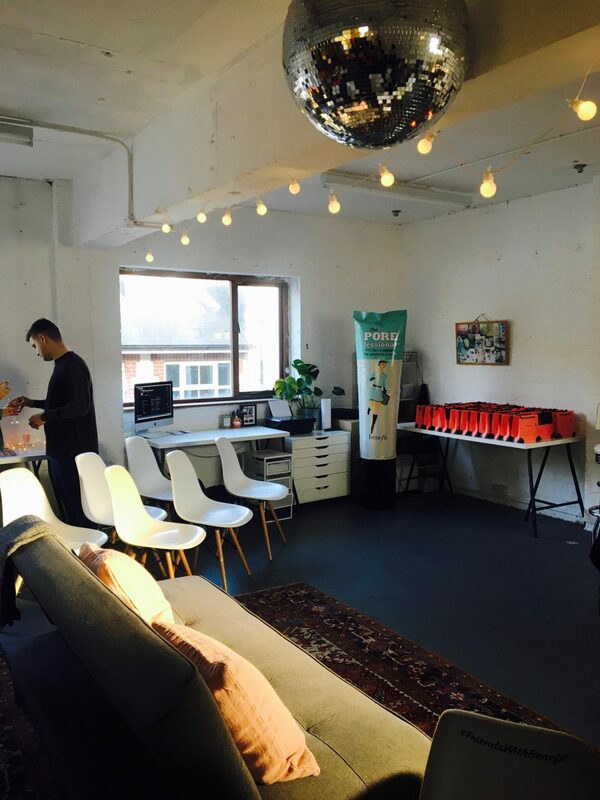 In the corner of the room there was a brow studio to get your eyebrows waxed, tinted and styled by the incredible Benefit Makeup and Brow Artists! This was a must for me, since I have never ever had my eyebrows done! (Kinda sounds like my eyebrows would be running wild by now.. but they barely grow!). We also got the chance to personalise our own tweezers, which was super cute! 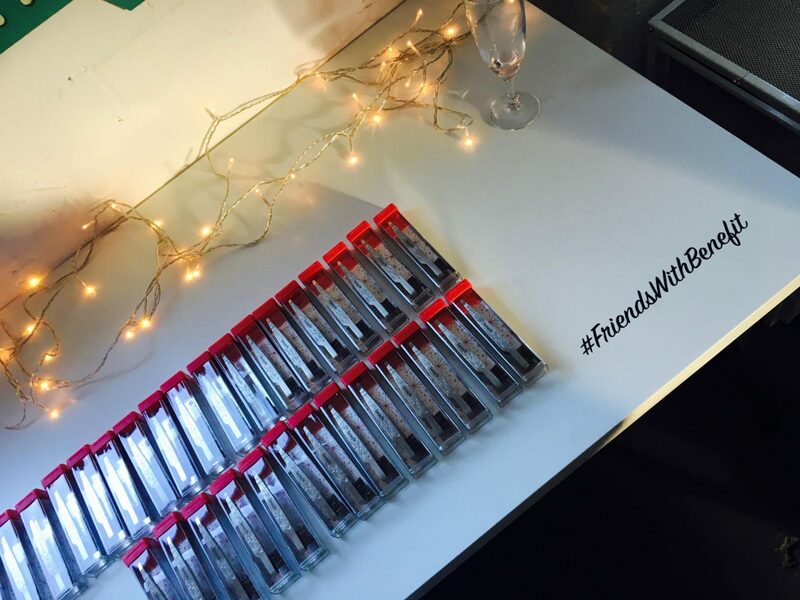 Now if you haven’t tried Benefit tweezers you need to…They are so good!! 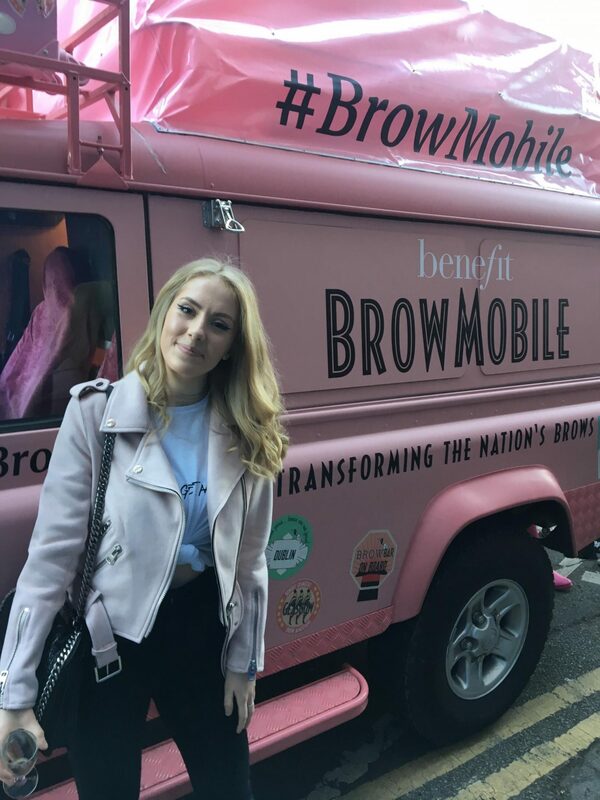 Later on in the evening, we all got called downstairs to see the new upcoming brow mobile, which will be travelling around the UK to transform everyones brows!! The car was amazing, and the interior on the inside was even better!! After that we finally had a Q&A with the inspiring Lola Hoad, who is an incredible entrepreneur and creator of ‘One Girl Band’, with so much wisdom. 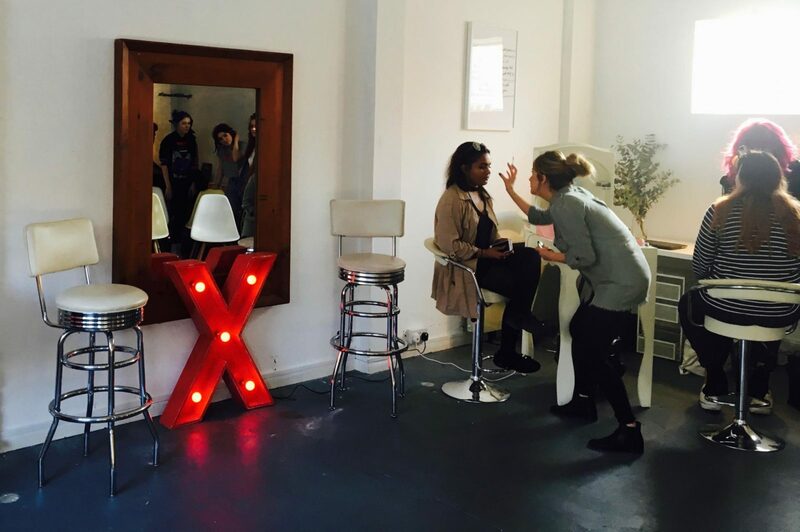 She spoke to us about social media, productivity, becoming your own boss, positivity and confidence. If you haven’t checked out her Instagram then you need to- CLICK HERE for the link! 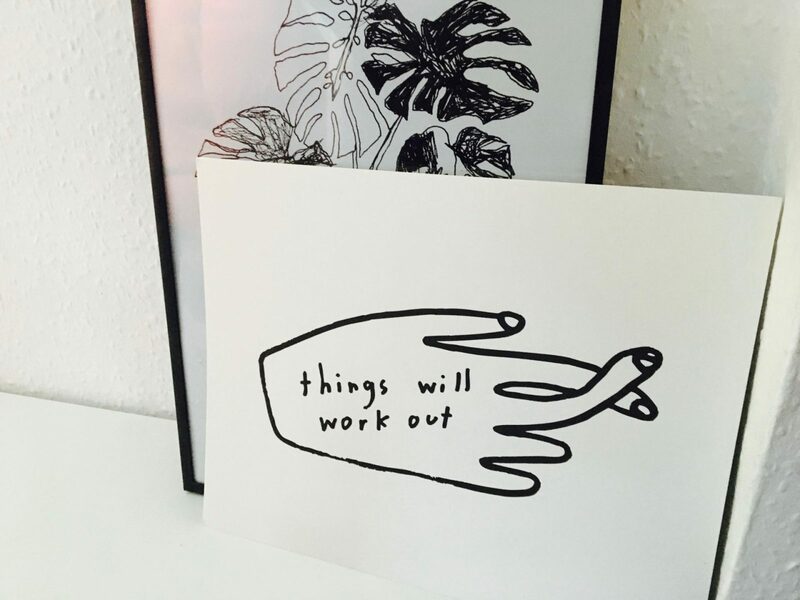 She creates beautiful greeting cards, with positive quotes and messages! 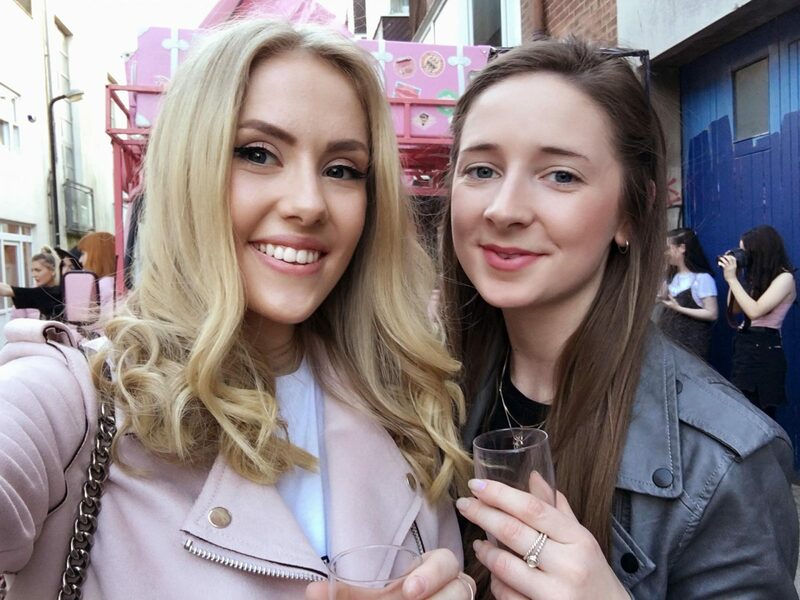 After meeting Lola, we had a Q&A with the lovely Blogger and Youtube Tashie Tinks, who spoke all about her journey becoming a successful blogger and tips on staying positive and motivated! It was such a great evening, and I loved it all!! 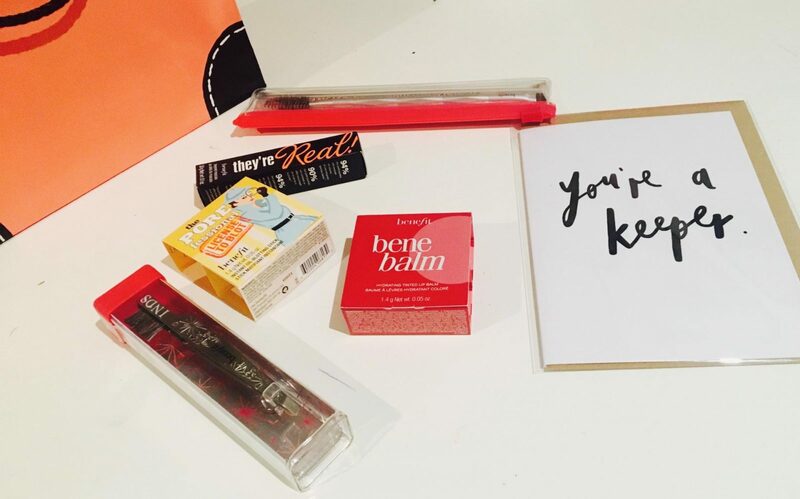 I also received a sweet little goody bag with some great products in! so I thought I’d also share with you all what I received! Lola Hoad Design Card ‘You’re a Keeper’. 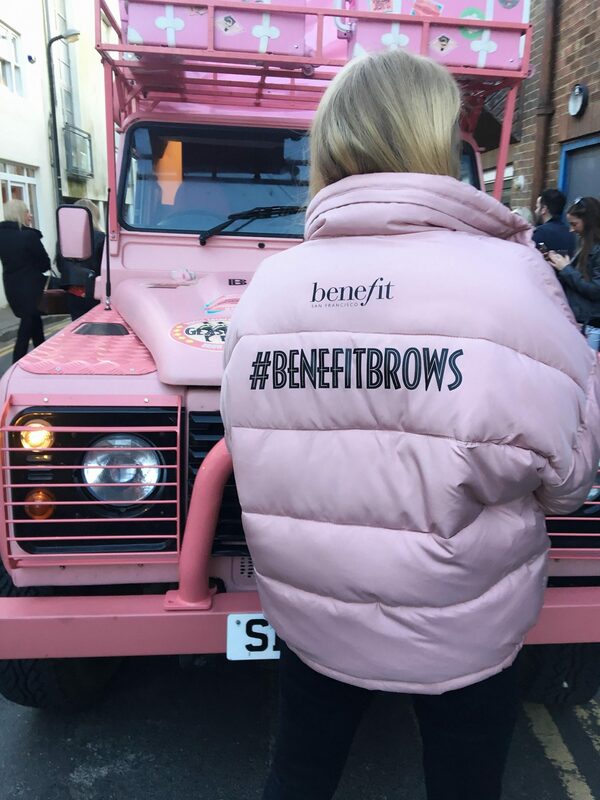 Benefit Cosmetics- Angled Brow Brush & Spoolie. Benefit Cosmetics ‘Bene Balm’- Which is such a lovely tinted balm. 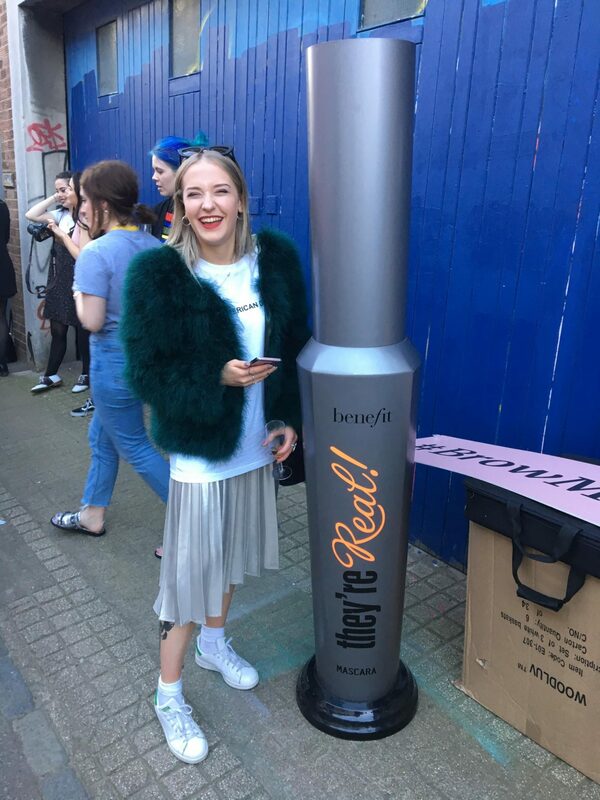 Benefit Cosmetics ‘License to Blot’ Which is an Oil Blotting stick. and finally My cute little personalised Tweezers (With my nickname Inds). I’ve tired them all out and I love everything! 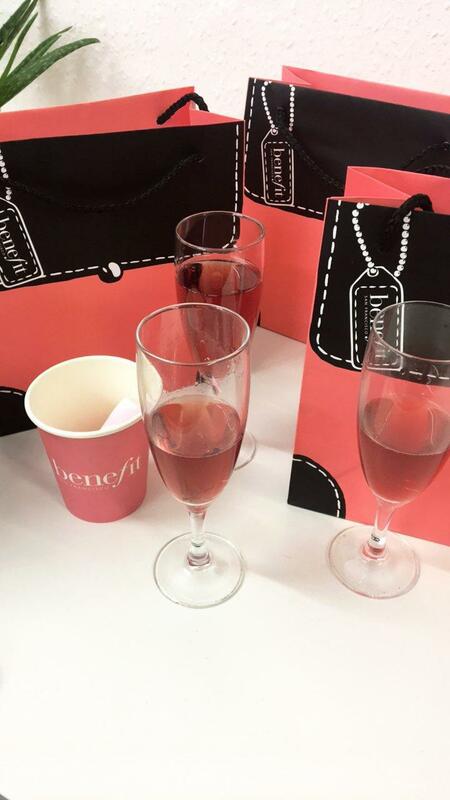 So thanks again to Benefit Cosmetics for such a fun event! Next Post My new favourite Lace up Jeans!